We ask for certain personal information when you register for The Riverdance App (either in the app or on our website) or if you correspond with us, like your first and last name, e-mail address or phone number. If you input your phone number to receive information from us, you understand that standard SMS rates apply. If you email us, we may keep your message and contact information so we can respond to your request. We use this information to operate, maintain, and provide to you the Riverdance App’s features and functionality. The Riverdance App sends push notifications to your mobile device when there is an update to the Activity Stream. You may turn these off at the device level by following the instructions on your device, but please be aware that if you do, you will not receive any future alerts. The Riverdance App stores information locally on your device, like the learning materials, messages and related media. 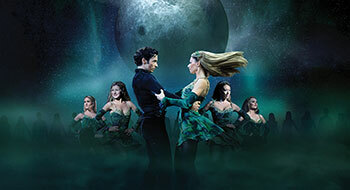 We also use your information to send you Riverdance-related emails (e.g., account verification, changes/updates to features, technical and security notices) – these Riverdance-related communications are important, so you cannot opt out. We use web and mobile analytics software to measure traffic and usage trends and to help us better understand the functionality of the Riverdance App on your phone. The web tools collect information sent by your browser, including the pages you visit and other information that assists us in improving the Riverdance App. The mobile software within the Riverdance App may record information such as how often you use the application, the events that occur within the Riverdance App, aggregated usage, performance data, and where the Riverdance App application was downloaded from. We use this information only to administer, improve, monitor and analyse the use of the Riverdance App. When you access the Riverdance App on a mobile device (like a smart-phone or tablet), we may access, collect, monitor or remotely store device identifiers (such as a “UDID” – a small data file associated with your mobile device which uniquely identifies it). This file stores data about your device’s hardware, operating system or other software and data sent by the Riverdance App, and conveys information about how the Riverdance App is used. This device identifier may persist on your device to help you log in faster and enhance your navigation through the Riverdance App. Some features of the Riverdance App may not function properly if this device identifier is impaired or disabled. If your information changes, or if you wish to discontinue use of the Riverdance App, you may update or delete it by visiting your account settings within the mobile application or by emailing us at the email address listed below. In some cases we may retain copies of your information if required by law. If you have questions on how to change or delete your information, please contact privacy@riverdanceapp.com. We will respond to your access request within 30 days. We will retain your information for as long as your account is active. If you wish to cancel your account or request that we no longer use your information to provide you services contact us at the email address listed above. We will retain and use your information as necessary to comply with our legal obligations, resolve disputes, and enforce our agreements. 1. Service Providers: We engage third-party business partners to provide you with the Riverdance App and to perform functions and provide services to us, like Rackspace for storage and Testflight for analytics. Those business partners will be given limited access to your information as is reasonably necessary to provide the Riverdance App. In the event that any information is compromised as a result of a breach of security under our control, we will take reasonable steps to investigate the situation and notify those individuals affected. If you are under 13 years of age you are not entitled to enter into any commercial transaction that may be offered within or in relation to the App without the express approval and consent of your parent or guardian. If you are under 16 years of age you confirm that you have the permission of your parent or guardian to submit content to The Riverdance App. © 2019 Copyright Riverdance. All rights reserved.